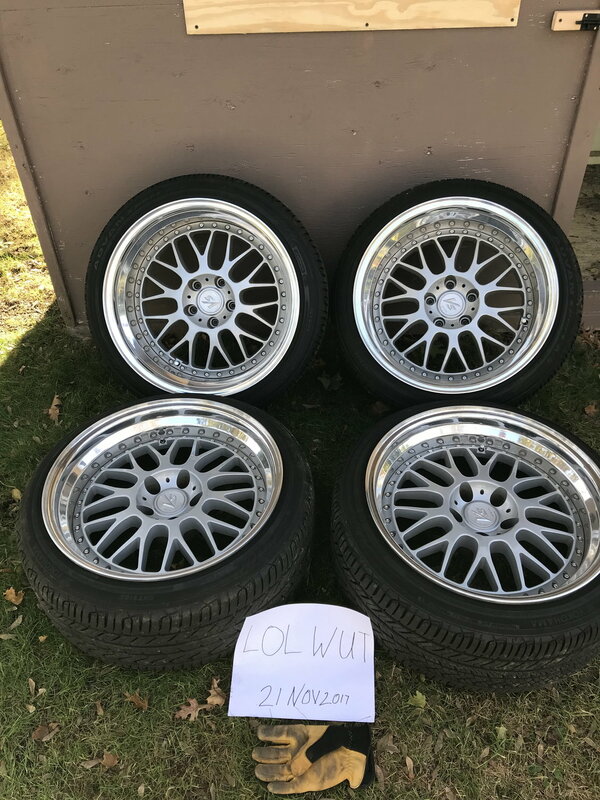 Selling my wheels, Work VSXX relipped by VRWheels a couple years ago. No idea what disk they are but they clear my brembos on my Z with no spacer. 18x9.5 et 0 18x11 et -2 No damage Advan all season 225/40 and 265/35 plenty of life left. $2300 cash. Not looking to ship, located in central NJ willing to meet up within reasonable distance.